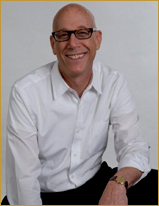 Originally from San Francisco, Russ Emanuel grew up in both Japan and the United States, garnering an international viewpoint of the world throughout his childhood. 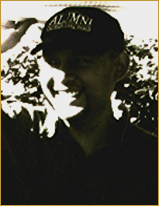 After graduating from the University of Southern California to study Cinema-Television, International Relations and Japanese, (and gaining more production experience at the UCLA Extension Program), he founded Russem Productions in 2002 in order to promote his short films including HER KNIGHT (2003) and the award-winning GIRL WITH GUN (2005). He also produced several shorts including MAVET (2004), the zombie-flick THE DIARY (2004), the vampire film PERFECT RED (2006), and most recently the CULT 11 (2010) television series (which he also directed two episodes). Presently, THE LEGENDS OF NETHIAH marks Emanuel's third foray into feature filmmaking, after having directed P.J. (2008) and CHASING THE GREEN (2009). 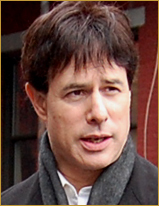 An actor since the late 1970s, Howard Nash has appeared in numerous independent films, notably THE MEETING in 2004. However, he is best known as an independent filmmaker, having co-produced the cult film CHILDREN OF THE NIGHT for Columbia Tri-Star in 1991. He also produced SLEEPLESS NIGHTS (MTI, 2002), which is available in most video stores throughout the US and Canada. In 2005, he completed TRACKS (where he appears in a cameo), which also starred John Heard, along with Ice-T. He also produced the television special FELICIANO, THE LEGEND (for PBS) starring the legendary singer, José Feliciano, and has produced promotional videos for the Beijing Circus, Cirque du Soleil, and the original members of the Electric Light Orchestra (ELO II). 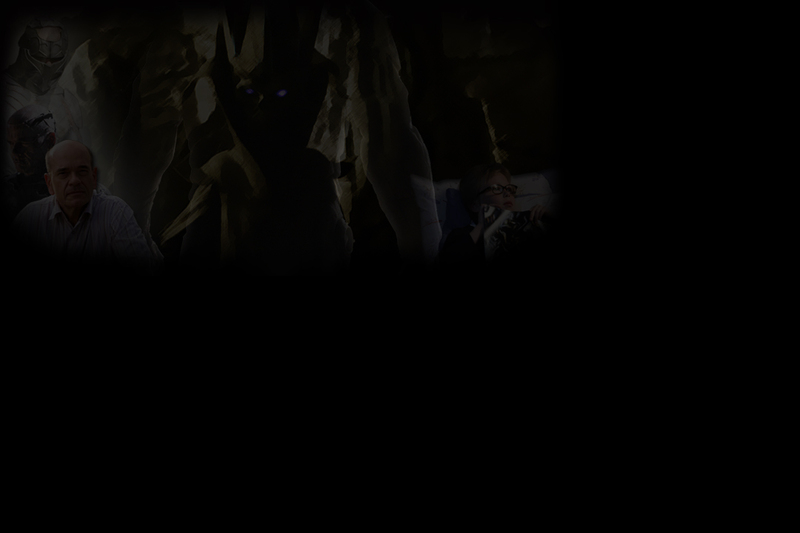 THE LEGENDS OF NETHIAH marks his third venture with director Russ Emanuel, the first two having been P.J. (2008) and CHASING THE GREEN (2009). From Bergen County, New Jersey, Robert A. Kwartler makes THE LEGENDS OF NETHIAH his third venture with producer Howard Nash. Robert previously worked with Howard Nash on SLEEPLESS NIGHTS (2002); and with Howard Nash, Russ Emanuel and Richard Spitaleri on P.J. (2008). Robert graduated with honors from Emerson College in 1974 earning a double BA in English Literature and Creative Writing. 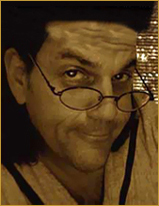 He has published various articles and poetry, produced packaging and provided marketing for major studios including RCA and NBC, and a few joke batches to Rodney Dangerfield and Johnny Carson. His performance resume includes stand-up comedy, puppet showcases, trade shows, and street performance. Robert’s current executive production funding capability stems from thirty years of institutional commercial real estate activity and private commodity transactions (visit www.robertkwartler.com). Residing in New York, THE LEGENDS OF NETHIAH (2010) marks Richard Spitaleri's third venture with producer Howard Nash and director Russ Emanuel. 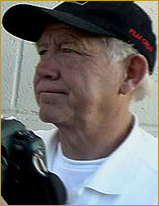 Richard previously worked with Howard Nash on the early stages of CHASING THE GREEN (2008) thereby making it possible to be filmed. He also worked with Howard Nash on Russ Emanuel's P.J. (2007). 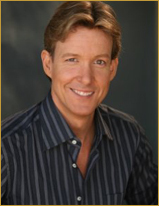 Richard also has a cameo in THE LEGENDS OF NETHIAH as the voice of the Principal. Living in Los Angeles, THE LEGENDS OF NETHIAH (2010) marks Christine M. Torres' first venture with producer Howard Nash and director Russ Emanuel. She is also currently a consultant for the Business and Legal Affairs Department at Buena Vista Home Entertainment. 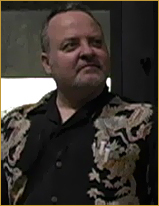 Currently residing in Arlington, Virginia, Emilio Iasiello began his career working as a political speech writer. He turned to screen writing in 2002, writing the script for the feature film THE GOOD THIEF. Due to that film's success, Howard Nash approached him about writing the screenplay for the film, P.J. More assignments quickly followed, including CHASING THE GREEN, DEVLIN'S CHOICE, TANDOORI PASTA and more recently, THE LEGENDS OF NETHIAH. Tomax Aponte is a native New Yorker born in Brooklyn. He wrote and produce popular music until his first year of college when his creative focus then turned solidly to film. 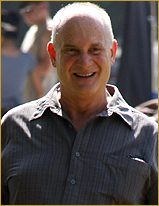 He's written numerous screenplays for various independent producers and has attended cinematography programs at UCLA and DFA. Tomax has also taken advance filmmaking workshops in directing with acclaimed author Judith Weston. In 2007, he was presented with the rare opportunity to work as an Associate Producer on the independent feature film P.J. The project went on to win various awards and has been screened at the Park City Film Music Festival and the Miami Underground Film Festival. Directing, however, has always been his passion and the short film L'ACCORDATORE is his Directorial debut. 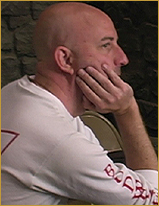 He worked on the initial concepts for THE LEGENDS OF NETHIAH and directed the fantasy footage seen in the film. Originally from France and an accomplished filmmaker of all talents, Kenhalo Bernet-Millan has been managing productions in both in France and the United States. She began working with the French television show THE WHY WHY? FAMILY, in 1996. She then moved to Los Angeles and formed her own production company, Volcano Smoke. Her credits, as producer, unit production manager, line producer, first assistant director, and/or costume designer include DIE ABRAFAXE - UNTER SCHWARZER FLAGGE (2001), DINNER AT EIGHT (2007), MY HOMEWORK ATE MY DOG (2009), and more recently, THE LEGENDS OF NETHIAH (2010). 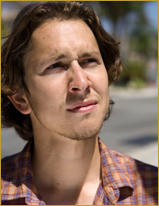 A resident of Los Angeles and very active in filmmaking, Jordan Leibert's credits include both television and film. Her television credits include producing and line producing three episodes of the show RED SHOE DIARIES in 1995. Her film credits include ANNIE'S GARDEN (1994), PRESENCE OF MIND (1999), TERMINAL ERROR (2002), CALLBACK (2005), and more recently the films, I AM SOMEBODY (2008), DARK HONYMOON (2008) and THE LEGENDS OF NETHIAH (2010). 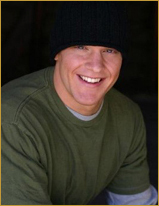 Living in Los Angeles, Keith Selin is a production coordinator and professional stunt performer. His film credits include CALLBACK (2005), I AM SOMEBODY (2008), and THE LEGENDS OF NETHIAH (2010), on which he worked as both production coordinator and Robert Picardo's [Sir Hanif's] stunt double. He works closely with Jordan Leibert, who line-produced all three of the aforementioned films. 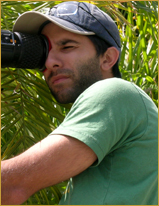 Benji Bakshi is a highly versatile director of photography. With an eye for composition and lighting, he developed his professional experience by working first as an electrician on EXIST (2004), as assistant camera on NEO NED (2005), and as a camera operator and director of photography (second unit) on the film, CUTOUT (2006). His cinematography credits began with, and include the television series DIRK BIKE TELEVISION (2006), and the films ROAD TO PECUMSECAH (2008), INITIATION (2009), and more recently THE LEGENDS OF NETHIAH (2010). Originally from Pennsylvania, Benji is now a resident of Los Angeles, and a 2009 graduate of the American Film Institute. Living in Los Angeles, Edward A. Gutentag is an accomplished cinematographer who has worked on nearly 100 films since the 1980's. He began his career as a camera trainee on the acclaimed film ANGEL HEART in 1987. Since then, he has risen in the ranks, working on such fabled projects as BATMAN RETURNS (1992, as assistant camera), MO' MONEY (1992), FORREST GUMP (1994), TITANIC (1997) and TERMINATOR 3: RISE OF THE MACHINES (2003). His first cinematography credit was on the second unit crew working on the films PIT FIGHTER (2004) and TA RA RUM RUM (2007). He received his first, sole cinematography credit on BURYING THE EX in 2008. 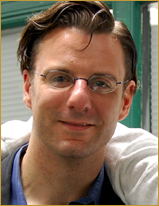 Currently living in Pennsylvania, Benjamin Semanoff formed his company Top Hat Productions in 2000, providing HD video, film production and web casting services to the entertainment industry. 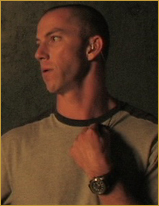 He began his career directing and producing his first short film, ON COMMON GROUND (2001). Since then, he worked as a camera and steadicam operator on numerous films including OCEAN CITY (2004), THE 4TH DIMENSION (2006), I AM LEGEND (2007), and LAW ABIDING CITIZEN (2009). He flew to Los Angeles to assist his friend Benji Bakshi, the director of photography, on THE LEGENDS OF NETHIAH. 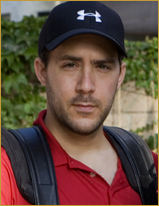 A recent graduate of the American Film Institute, Jeff Bierman has worked in various positions on more than a half dozen films, among them DEWEY McCLOUD: MUSIC & YOUR MELODY WITHIN (2005); as gaffer on such films as LIFE ON EARTH (2009) and THE LEGENDS OF NETHIAH (2010), along with his friend and fellow AFI graduate Benji Bakshi. He was also cinematographer on the films LIMBO (2007) and FAMILY JEWELS (2009). Working in Los Angeles, David Irwin has been in the industry since 1995, working first as an electrician on the television movie THE TIN SOLDIER. 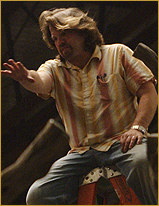 Since then he has worked in numerous positions in various capacities, such as a grip on RULE OF THREE (1996), a gaffer on A BETTER WAY TO DIE (2000), a best boy electrician on THE HAUNTED MANSION (2003), the chief lighting technician on THE CHUMSCRUBBER (2005), and a key gaffer on THE LEGENDS OF NETHIAH. He also worked in television (as rigging gaffer and lighting technician) on such shows as LAS VEGAS, CLOSE TO HOME, and MEDIUM. Gladys Rodriguez was born and educated in Lima, Peru, having studied Interior Design at the Toulouse Lautrec Art School. After graduating, she worked for several years as an interior designer in Peru before going to Madrid, where she received her Masters and graduated with honors in Production Design and Theatre at the TAI Fine Arts School. Having finally discovered her fascination for film, she used her knowledge of design to help bring unique colors to two short films in Spain. It was at this point that she decided to try her luck in Hollywood, moving to Los Angeles to pursue her professional film career. Since moving, she has worked on many films including the feature film FATE (2003), HOLLYWOOD FAMILIA (2006), CHRYSALIS (2008), and three of Russ Emanuel’s films: HER KNIGHT (2003), GIRL WITH GUN (2005), and now THE LEGENDS OF NETHIAH (2010). Residing in Los Angeles, Bryce Holthousen got his first taste of filmmaking while working on the film THE FORCE in 1995. Since then, he has worked in various positions in the Art Department including FIST OF THE NORTH STAR (1995) as a leadman and IT'S MY PARTY (1996) as a property master, before finally working as production designer on the film MAXIMUM REVENGE (1997). He went on to production design various films including TUMBLEWEEDS (1999), REALITY CHECK (2002), GALAXY HUNTER (2004), UNCLE P (2007), and THE LEGENDS OF NETHIAH (2010). Living in Canoga Park, California, John Paul Ouvrier is a Jack of all Trades. He began his filmmaking career with SECOND CHANCES, a 1992 film he produced, wrote, and acted in. It aired on PBS, the Cox Cable System, and TBS. 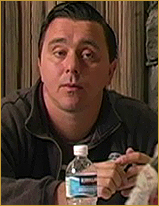 Under his production banner Ouvrier Productions, he is currently producing, writing, and starring in a web series called CULT 11 (for which Russ Emanuel has already directed two episodes). He also assisted on THE LEGENDS OF NETHIAH, finding locations as well as creating several props and visual effects required for the film. Christann Chanell, a Los Angeles native, was first introduced to fashion through national magazines, television, music videos and film. Since childhood, she has longed to be affiliated with costume design within the entertainment industry. Wasting no time, she began accepting small positions as an assistant on such short films as HORROR 102: ENDGAME (2004) and music videos like YUKMOUTH & KLUMP "NECK STRAIGHT" (2006). She also worked on national television commercials, and honed her skills on her own, personal productions. As her knowledge of the fashion/wardrobe industry began to grow, she eventually founded Christann Chanell Designs. Her hard work and dedication quickly paid off: shortly after, she began working in the wardrobe departments for such projects as DEAL OR NO DEAL, ROCKY BALBOA and THE LATE SHOW with Craig Kilborn. She assumed the position of Costume Designer on other high-profile films and TV projects including LAST RITES (2006), DON'T GO (2007), and REVENGE OF THE MUMMY (2005). 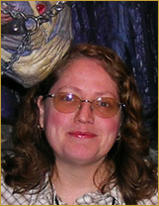 Sharon Lynn Epstein is trained as a Special Makeup FX Artist and Fabricator of prosthetics, props and puppets. After earning an AA from FIDM in Los Angeles and a BA in Theatrical Arts at Cleveland State University, Sharon embarked on a 15 year career as a makeup artist, property master and wardrobe coordinator for regional theatre and opera companies throughout Northeast Ohio. In 2008 she returned to California and secured an apprenticeship under Rob Burman at The Sticks and Stones Studio. She has acquired a wide range of and lab skills relevant to screen and stage. From "the mold room to the foam room", from lifecasting to finished work, Sharon is an indispensable addition to any professional makeup/FX department. 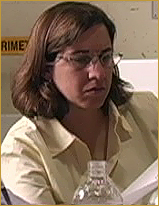 Jennifer Nudelman has worked on several Los Angeles films including CLUBHOUSE DETECTIVES IN SEARCH OF A LOST PRINCESS, MAN OF GOD, NIGHT SKIES, and more recently THE LEGENDS OF NETHIAH. She also works for the Crystal Agency in Los Angeles, where she teaches professional hairstyling and makeup. 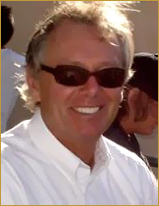 Through his independent production company SPFX, Inc., Wayne Beauchamp is an experienced special effects veteran. He began as a pryotechnician on the 1972 film EMERGENCY!, quickly climbing up the ladder to work on various films like HEROES (1977) as a special effects assistant, before becoming his own special effects coordinator in the 1981 film BACK ROADS. He has since coordinated and supervised such films as CHILDREN OF THE CORN (1984), TIMESCAPE (1992), FREDDY VS. JASON (2003), and more recently THE LEGENDS OF NETHIAH (2010). 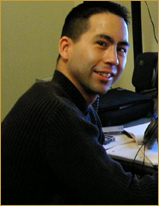 He has also worked on numerous television shows including THE PHONE and DEADLIEST WARRIOR. 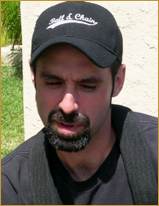 Founder of his own company, "Creature Effects", Mark Rappaport is an acclaimed talent in the field of special effects. He is best known for supervising such films as 300 (2006) and I AM LEGEND (2008). He began as a puppeteer and sculptor on THE RUNNING MAN (1987), and quickly moved up the ranks by working steadily on such films as TREMORS (1990) and PREDATOR 2 (1992), before supervising later films such as PET SHOP (1995), WAKING UP HORTON (1998) and THE LEGENDS OF NETHIAH (2010). He has also worked in television, on such shows as FRASIER, ER, and STAR TREK: VOYAGER (which starred THE LEGENDS OF NETHIAH actor Robert Picardo). Heading his own company called Vision Animation (and also known as "Mr. Mike"), Michael Herzog has been a practitioner of the visual effects arts for several years. His company currently creates and produces original, animated series for the International television market. In addition, his studio’s 2D and CG production facilities produce both traditional and digital animation for clients all over the world. THE LEGENDS OF NETHIAH (2010), represents his first collaboration on an independent feature film. 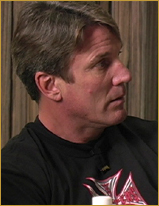 An acclaimed and award-winning stunt actor/coordinator, Jim Vickers began his illustrious career as a stunt double on the 1991 film OFF AND RUNNING. He became a stunt coordinator on the 1996 film CURDLED, and coordinated other films such as INSTINCT (1999), NOMAD (2005), and THE LEGENDS OF NETHIAH (2010). He is also a full-time stunt coordinator on such hit shows as CALIFORNICATION and HOUSE M.D. He has won 2 prime time Emmys, both for Outstanding Stunt Coordination for the 2005 episode of NUMB3RS ("Harvest Episode") and the 2007 episode of CSI: MIAMI entitled "Rush". 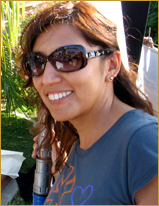 Residing in Los Angeles, Sandra Salas is both an efficient and disciplined script supervisor. She first began script supervising on the 2008 film MAN OVERBOARD, and has since worked on numerous projects including SHELTER (2008), THE CROOKED EYE (2009), and MY HOMEWORK ATE MY DOG (2009). 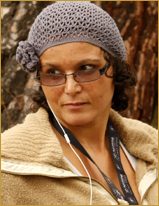 The latter film was produced by Kenhalo Bernet-Millan, who subsequently recommended Sandra for THE LEGENDS OF NETHIAH. 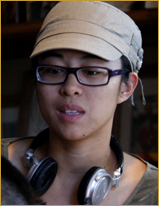 A disciplined script supervisor working in Los Angeles, Blu Van Zandt worked on numerous films including the short film BOUNTY (2002), and feature films such as TRUE MEN (2006), THE RAT THING (2007), LILY (2009), and THE LEGENDS OF NETHIAH (2010). Her television credits include MAD TV and EASY TO ASSEMBLE. With a life-long love of professional soundwork, A. Tad Chamberlain is a proficient sound mixer and recordist. Living in Los Angeles, he began working as a boom operator on the 1998 short film THE GOOD SAMARITAN. 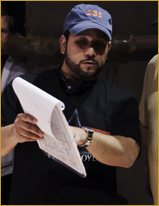 He has since worked on numerous films such as FUNKY TOWN (2000), PROFOUND GROWTH (2006), and MY HOMEWORK ATE MY DOG (2009), a film produced by Kenhalo Bernet-Millan (who subsequently recommended him for THE LEGENDS OF NETHIAH). He also directed the documentary short LOUDER THAN BOMBS (2005) and more recently the short film ANTI-SAMARITAN HOTLINE (2009). 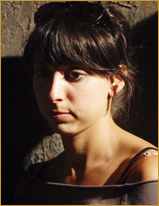 Working and residing in Los Angeles, Sara Glaser is an accomplished sound mixer and ADR recordist. Her career began on a 2004 short film called AN INCONVENIENT AFFAIR. She quickly rose in the ranks on various films including LEGION OF THE DEAD (2005), HOUSE AT THE END OF THE DRIVE (2006), THE HAPPIEST DAYS OF HIS LIFE (2007), and BLACK DYNAMITE (2009). She also works closely with her husband Johnny Evans, who is her boom operator on many films including THE LEGENDS OF NETHIAH. Nick Smirnoff utilizes his professional talents in a variety of fields including photo journalism, where he photographed "Marching Firefighters", "Fire/Water Helicopter", and "Monolith California". His fine art works include "Models Auditioning for a Photo Layout", "Abandoned Service Station" and "Eats" (the latter two being from the Highway 395 Series). He has also worked on set for numerous television commercial projects including "Promoting Wind Energy", and was the on-set photographer for such films as Russ Emanuel's GIRL WITH GUN, P.J. and THE LEGENDS OF NETHIAH. A graduate in both Writing and Film from Long Beach State, Emile Haris, together with fellow filmmaker Yos Park, produced the sci-fi short FRAKIE DIED (2000), which they produced under their own banner, Atomicgum Productions, Inc. He next teamed up with USC graduate Russ Emanuel for the film HER KNIGHT (2003), a contemporary romance with fantastical elements as well as historical ones. His editing/post-production credits include MAVET (2004) which he also wrote and directed, GIRL WITH GUN (2005), PERFECT RED (2006), and more recently P.J. (2008), CHASING THE GREEN (2009), and THE LEGENDS OF NETHIAH (2010). 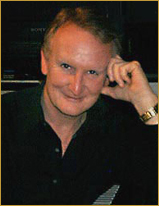 Classically trained, Neil Argo's dramatic and provocative scores have been heard all over the world. From the television series WILD AMERICA, THE NEW MISSION: IMPOSSIBLE, and BEVERLY HILLS 90210 among others, he has composed for many noteworthy projects. More recently, he teamed up with director Russ Emanuel, composing scores for his films HER KNIGHT, GIRL WITH GUN, P.J., CHASING THE GREEN and most recently THE LEGENDS OF NETHIAH. He also composed scores for two Emmy winning television shows, THE SURVIVORS OF THE SKELETON COAST, a National Geographic Television Special, and A COMMUNITY OF CARING for the Directors Guild of America, - Los Angeles and the City of Santa Monica. As a Re-recoding Mixer and Editor with many years of experience in Post Production and Production industry working on Reality TV, Features, Television, Trailers, Music, On-Air Promo's, Radio, and DVD Authoring. Providing clients with more and with better than they may expect almost anywhere else. 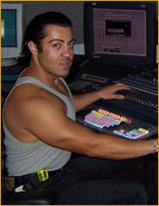 Southern California-based audio post Production Company for film, television, and multimedia. On the leading edge of technology which is why Sound Design Digital Post clients enjoy the complete scope of superior sound prep, pre-lay and mixing services-All under one roof. Benefiting from an extensive sound effects library, Foley, ADR, Music mixing, Music editing. Every Client is assured of receiving personal service that is dedicated and responsive all the way through in a friendly client oriented studio with free DSL Service and gourmet coffee. He previously worked with Russ Emanuel on his short films GIRL WITH GUN (which was nominated for Best Sound) and PERFECT RED, and his first two feature films P.J. and CHASING THE GREEN.